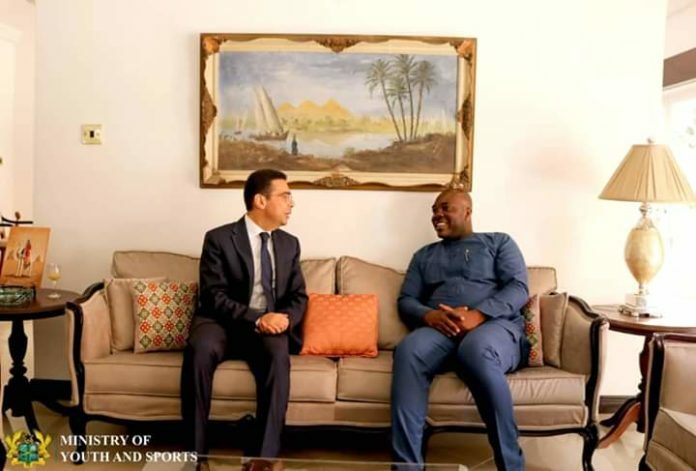 The Egyptian Embassy has announced its intention to collaborate with Egypt Air to give Ghanaian sporting public a “comprehensive package” which includes ticketing, internal flights and accommodation to enable them to travel for the TOTAL Africa Cup of Nations (AFCON) tournament scheduled in the Arab Republic of Egypt from June 21st to July 19th this year. This was made known by the Ambassador H.E Emad Magdy Hanna when the Youth and Sports Minister, Hon. Isaac Kwame Asiamah (MP) paid a reciprocal visit today at his residency. On his part, Hon. 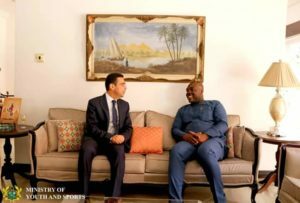 Isaac Kwame Asiamah expressed his gratitude to the Ambassador for his commitment in ensuring smooth facilitation for Ghanaians to travel and participate in the upcoming tournament.